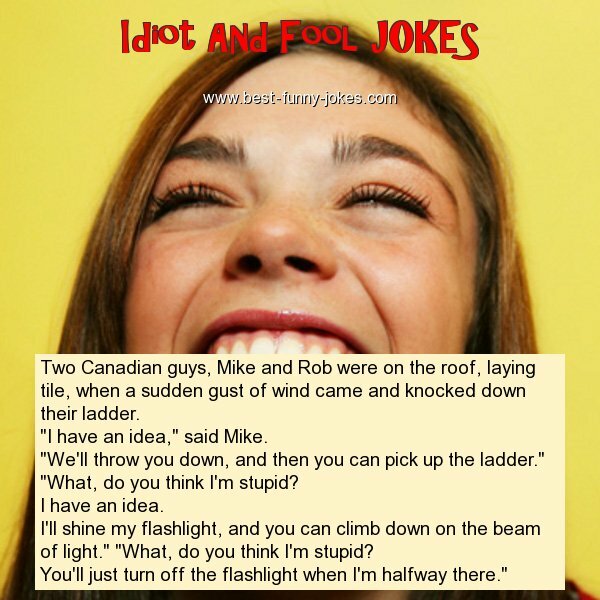 "I have an idea," said Mike. "We'll throw you down, and then you can pick up the ladder." "What, do you think I'm stupid? I'll shine my flashlight, and you can climb down on the beam of light." "What, do you think I'm stupid? You'll just turn off the flashlight when I'm halfway there."